On this episode, we speak to artist and composer Tarek Atoui and curator Jennifer Burris. Marfa Live Arts, in collaboration with Fieldwork Marfa, will showcase his “examination of sound, place, and the social practice of improvisation across the varied landscapes of Marfa” during Marfa Sounding. This will be the third and final year of this project. The entire schedule for site-specific musical performances during Marfa Sounding can be found here. 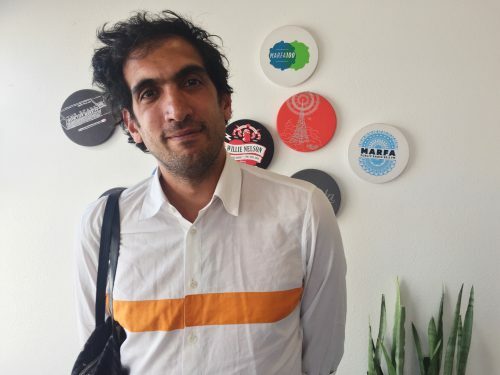 This entry was posted in and tagged fieldwork marfa, Marfa Life Arts, marfa sounding, Tarek Atoui. Bookmark the permalink.